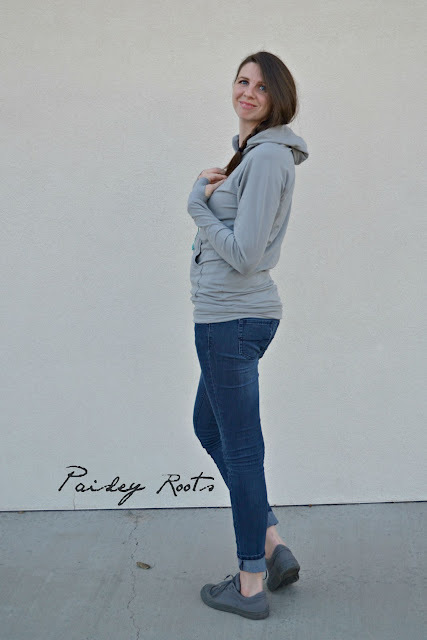 From fall until spring, I live in Hoodies. 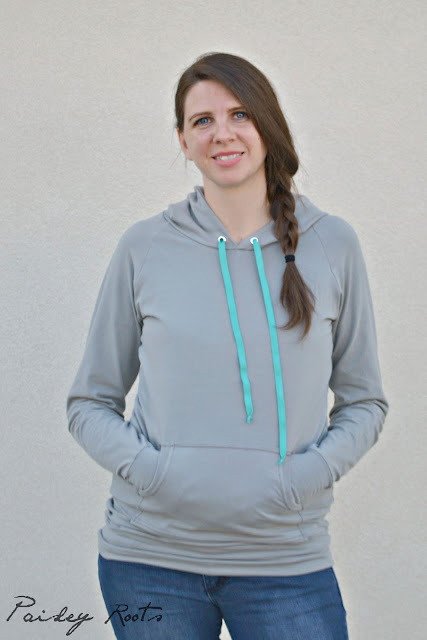 So naturally, a hoodie would be my layering fashion staple. I used Patterns for Pirates Womens Raglan w/Add on pack. Normally I would have to adjust the pattern to make the sleeves and body longer, but since the pattern had a looser and longer fit, I decided to see how it went just making as-is. I LOVE it. The pattern is made to fit a regular height of 5'5" and I'm a good 7" taller than that, but really, this fits exactly how I like my hoodies to. I chose to make thumbhole cuffs and I love that feature! The fabric is from Phat Quarters in my other staple favorite: grey. Now to make this up in my Studio Ghibli fabric! So what is your favorite item of clothing to layer? 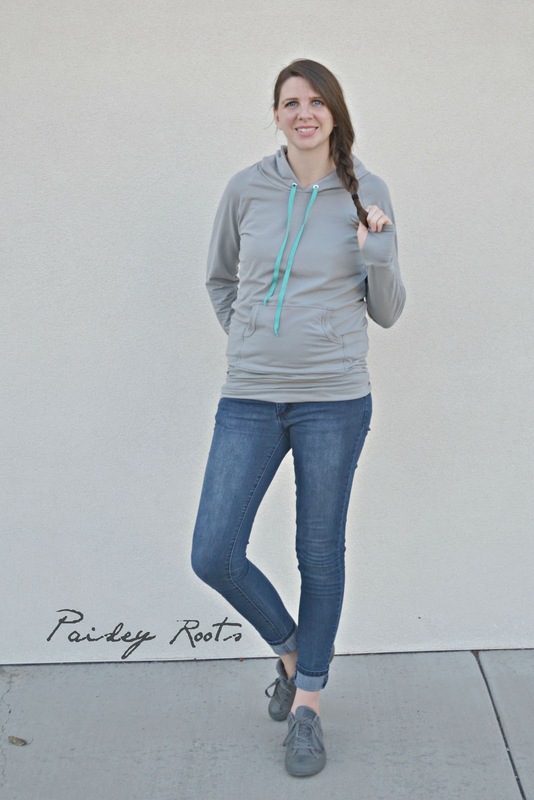 Check out Danielle from Kisses & Co. tomorrow to see her Fall Layering item! What a cool hoodie! 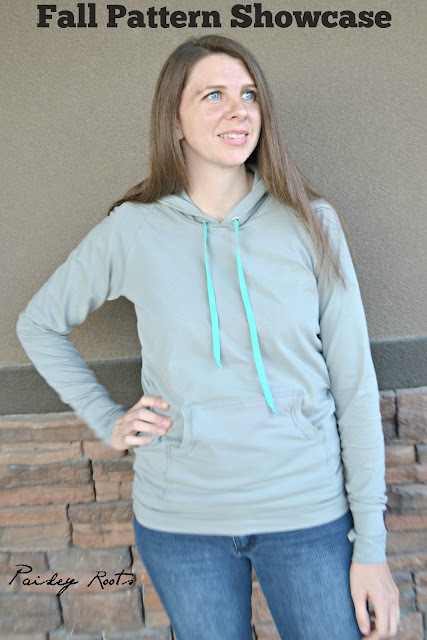 I pretty much live in sweatshirts in the fall/winter, too. I think it's about time I tried to make one for myself since I've never done it before. 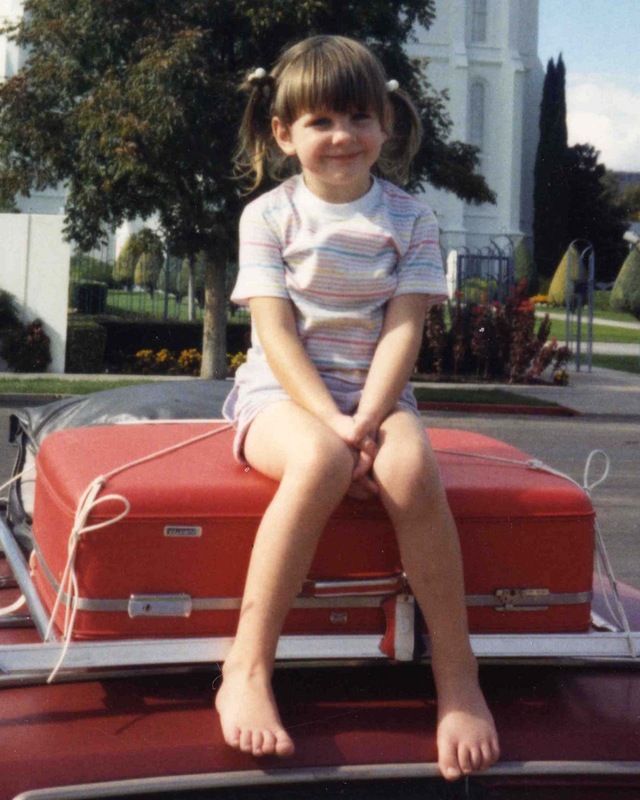 Love that cute picture of you -- I think we had the same suitcase when I was a kid, heh heh. And what's this about Studio Ghibli fabric?? I really love this, and that almost sounds so silly because it's so basic but it just looks awesome! It's the first one that I've seen that just looks so professional! What type of knit is this, cyhitin Lycra? make 100 hoodies! MAKE ALL THE HOODIES! Seriously, though, you're the best seamstress with knit by far. Winner winner chicken dinner. Sometimes I see your pictures and I get sad, because you look like a college student who got 12 hours of sleep and exercises daily, yet you have FIVE KIDS and time to sew awesome garments like this. Wonders never cease!